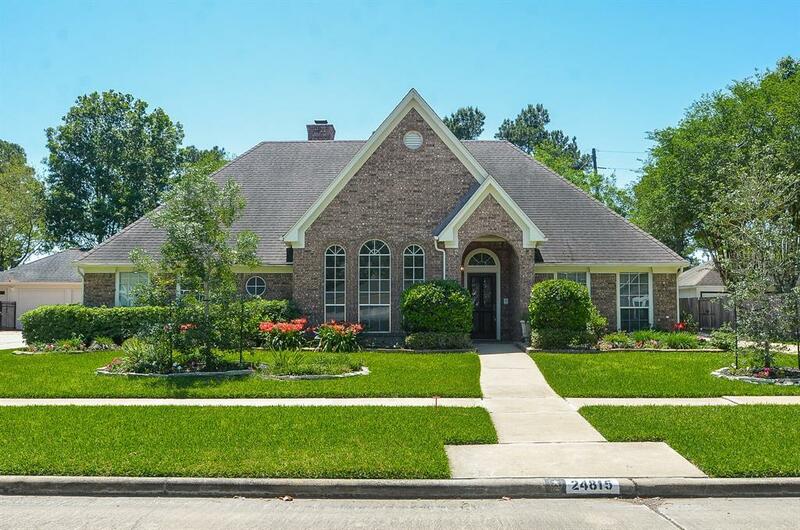 One of the larger one-story homes in Pin Oak Village, this well loved home has been meticulously maintained. 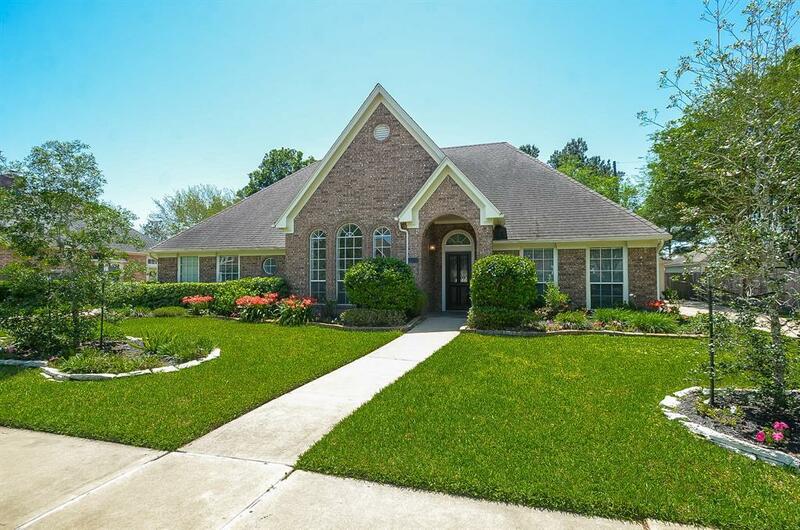 It's one of the few one story homes in the subdivision that has two and a half baths. The home was built ADA compliant with wide hallways and door frames, a zero entry shower and many other compliant modifications throughout. 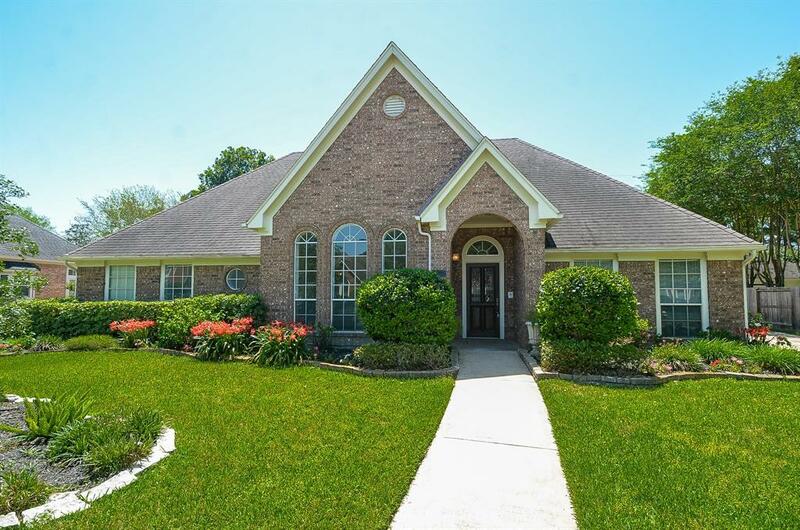 The master bedroom boasts an 'extra' sitting room that is great as a second study, library or tv room and has it's own private access to the backyard patio. The living room has cathedral ceilings which are accentuated by custom built-ins and crown molding details throughout the home. The 2.5 car garage provides ample space for a workshop and you'll love the location, nestled on a quiet cul-de-sac that backs to the neighborhood park. 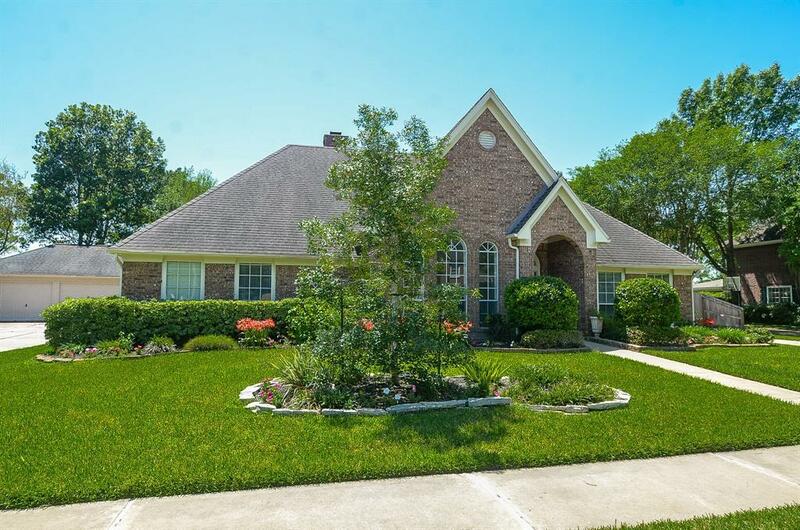 Just a few short minutes to I-10, the upcoming Katy Boardwalk, restaurants and shopping and zoned to Katy schools.